To follow the Ride4Gabe team please go to www.ride4gabe.com and you can follow them live as well as get updates on a regular basis! We have said all along that it takes creativity to raise money and any amount counts! There is a friend of Turner’s (our oldest son) who decided he was going to make a difference in this world and was so touched by Gabe’s journey that he wanted to find a way to give back to our foundation. This 10 year old little boy decided he wanted to create a fundraising event called Gifts for Gabe. Chase Carbonie decided to forego any presents in exchange for money and then he donated ALL of the money to the Hope for Gabe foundation! WOW!!!!! What can you say when a 10 year old little kid thinks that unselfishly???!!! I know when I was 9 or 10 I wanted presents! It is obvious that his parents are doing an incredible job getting the right message across. Chase is so passionate in this cause that not only does he wear an H4G Band of Hope everyday, not only does he wear H4G eye black tape when he plays his football games, but he has also decided to recruit his friends to support this great cause! Two more children have decided to do Gifts for Gabe; Aleigh Grace Griffin and Connor Griffin. These children are learning so much about what is important in life through Gabe’s journey and Gabe is only 5. He is teaching others so much and in many cases, has never met them! Chase had a project at school and it asked who was his hero? He put on there that Gabe Griffin was his hero!!! Are you kidding me???!!! Incredible! He then wrote about Gabe and why he was his hero!!! Unbelievable! Chase made a comment to his parents that really made an impact on me. He said “mom, what if all the friends we know and their friends did Gifts for Gabe…do you know how much money we could raise to help save Gabe’s life? ?” Think about it…What if???? How much money could we raise from children??? 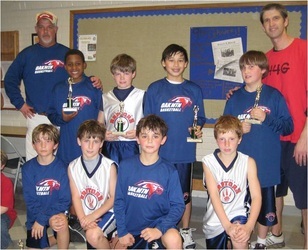 How much could these children learn from Chase and his act of kindness and concern…take a moment to think about it. We are going to keep this in the Future Event category in the event that your child wants to participate in Gifts for Gabe as we hope this is an ongoing event. Please let us know if your child would like to participate. We have also started a club called Gabe’s Groupies listed below for each child that participates in our Gifts for Gabe fundraiser. Chase Carbonie, Aleigh Grace Griffin, and Connor Griffin – I believe you have started something and are a part of something that will be bigger than what you ever imagined…that is my HOPE! We're holding it on Sunday November 13th. The first game will start at 10 and end around 5. The bracket will consist of roughly 8 teams. Each game will last 45 minutes. We are hopefully going to get the event put into our homecoming booklet that way every student knows about it, we will also send out a campus wide email closer to time! The weekend of the tournament is their homecoming, parent weekend, and alumni weekend so hopefully we will have a big turnout for the event! We've got a student volunteering to grill out during the games. They raised over $700 and more importantly we were able to speak to all the teams about Gabe's condition which raised awareness on a campus that previously was not aware of Duchenne! I continue to say that we typically hear when kids do bad things but these kids are incredible and to do this all for a little boy they didn't even know!!! If this is a small sample of our youth today in America I think we will be just fine! Thank you BSC!!!! Tuesday November 1st in the AM. Where: - We will be set up at Cowboys on Highway 280. How Much: - Slow Smoked “Fork Tender” Boston Butts are $35 approx 9lbs. - Slow Smoked Ribs are $25 a rack. Gabe Griffin, is a handsome little fellow and is a local Birmingham youngster fighting Duchenne which is a form of Muscular Dystrophy. Gabe wants a fighting chance and needs our help to accomplish his goal to end Duchenne! We thank you in advance…The Bama Eagle Grillin Team. Results - INCREDIBLE!!! It's official! 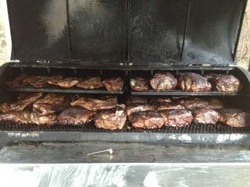 Ron, Jay and the crew officially smoked 1,000 lbs of BBQ ( 90 Boston butts & 30 Racks of Ribs) for Grillin' for Gabe! 33 hours of non-stop cooking frenzy...thank you to Jay Pollock, Tracy Gahlinger, Dan Denton, Mike Harbinson, Angela Pharr,......and of course head chef Ron Pharr... the 33 hour cooking marathon raising nearly $3,000 for Hope for Gabe! Look for Grillin For Gabe 2 this Spring if not sooner..... thank you for all the support!!!! Great job guys and we are so blessed to have incredible folks in our lives! The Spring Dazzle Crafts Market will be located in a 35,000 sq.ft store! It will be located in the Linens N Things building between Best Buy and Staples. Should be over 100 vendors including their unique art and crafts. Great time to buy Mother's Day presents and Easter presents. In attendance will be the Easter Bunny, Pelham TCBY, Panera Bread, andmanymany more. Please come shop, have fun doing so, and raise money to help save our son! The entire school at Mt. 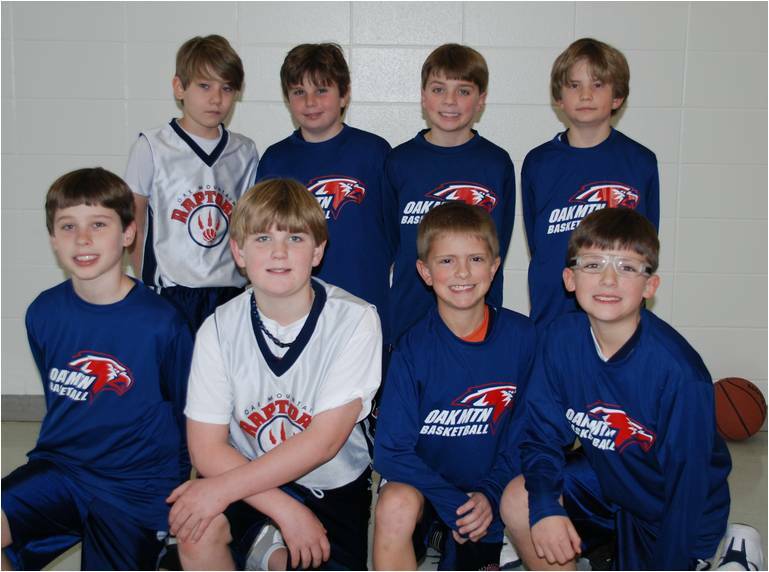 Laurel Elementary offered to sell Gabe's Bands of Hope for one week in honor of their "rock star" like student, Gabe! The students, parents, and faculty will have one week to buy a $5 red Band of Hope (seen to the left here) in support of our foundation and Gabe Griffin! Way to go Mt. Laurel!!! You guys all rock! Results - WOW!!! Mt. Laurel Elementary, its students, parents, and teachers raised over $1,700 by selling Gabe's Bands of Hope! On the very first day that Addie and Gabe walked into their classroom the entire classroom raised up their wrist to show Gabe the Bands of Hope they had purchased in honor of Gabe as well as the teacher and his aides!!! We are so blessed! Gabe just has an incredible effect on people. 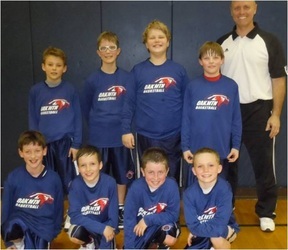 Nothing is more evident than the this story in which Gabe touched a group of 10 year old boys of a basketball league in such a way that they got really creative and had a fundraiser! The Oak Mountain Raptors are a group of 24 4th graders from the Oak Mountain school system developing basketball skills by playing together in competitive basketball leagues in Birmingham. 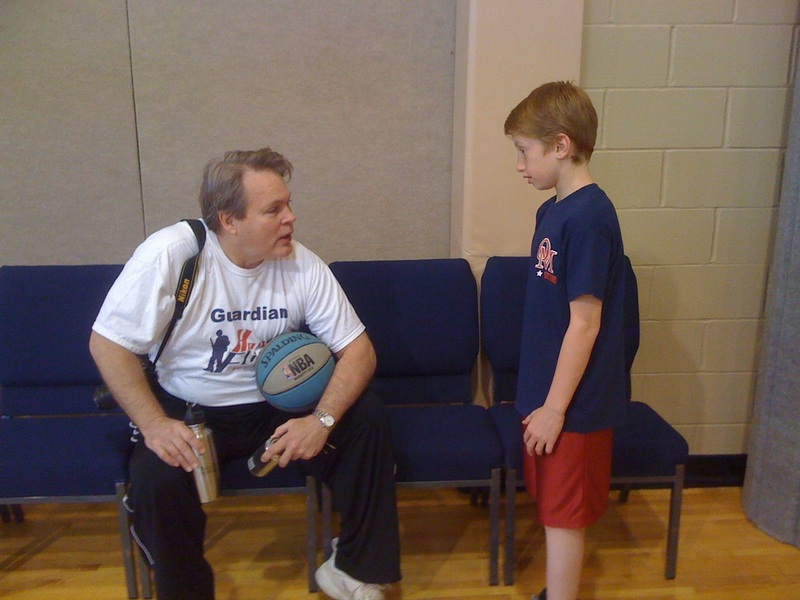 When the directors of the program, (Kris and Angela Dunn) were looking for a service project to remind the boys involved that it wasn't all about sports, they knew the organization they were going to focus on - Hope For Gabe. The Raptors program won a title and finished second in another league this year. It's safe to say their involvement with H4G will be as memorable to the kids and the parents as any game or trophy! You guys absolutely rock!!! Gabe is so fortunate to be in this community and to have all these folks working together to make a difference with our foundation. It is evident more than ever that Gabe impacts lives even though he is not trying to! Gabe, you are my hero! 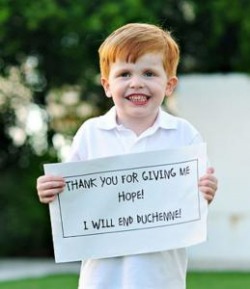 Hope for Gabe and Serra Toyota of Birmingham have partnered to help end Duchenne! For every new car sold in the month of November, Serra Toyota of Birmingham will donate a portion of the proceeds to our Hope for Gabe foundation in an effort to raise awareness and money for research. If you or anyone you may know is in the market for a new vehicle please visit Serra Toyota of Birmingham in person, on the web at www.serratoyota.com, on Facebook at Serra Toyota Birmingham, or call 1-800-639-8696. Please forward this to anyone you know in the Birmingham area and be sure to mention H4G when you talk to them. As always, thanks for helping save the lives of all these Duchenne boys. Results - Serra Toyota stepped up to the plate and hit one out of the park! They were able to raise $2,500 for H4G and purchased another $1,000 in H4G merchandise (seen here in one of our shirts). It is incredible to us that a little 5 year old red head can have such a HUGE impact on grown adult men. Some of them even cried after I spoke to them and after they met Gabe! They have incredible folks at Serra Toyota...you guys rock! This incredible group of ladies choose a charity every year to donate to and this year they selected Hope for Gabe! Usually they select a local Newport News charity but this year they decided to select H4G as they heard so much about it from Mrs. Shelley Senick and Ms. Gloria Lancaster of Birmingham, Al. It is amazing how Gabe's courage and strength can touch so many others even in totally different states! These ladies were so touched they elected to donate to a foundation for a little red-headed boyin Alabama as well as a Va. local charity! Way to go ladies! A special thanks goes to their waitress of 5 years, Nora, who took it upon herself to collect contributions from other patrons and raise money/awareness for H4G as well...way to go NORA (pictured left)! Results - The GNO CLub in Newport News, VA. raised $370.00 for H4G with $130.00 of it being raised by Ms. Nora Brendel!!! You guys are so awesome and I hope that one day Gabe will get the opportunity to meet each of you! Thnks for everything!!!! It is all about creativity!!! Brian Copenhaver of Fidelity Investments (FIS) came up with an incredible way to raise money for the Hope for Gabe foundation. He asked his leadership if they would allow him to create a casual dress week including a choice between blue jeans or shorts for a fee...$10 for jeans or $15 for shorts. How creative!!!! 100% of the proceeds from casual week would go to our foundation. His leadership said it was a great idea so his co-workers would pay $10/$15 to be able to dress very casual at their office and our foundation would benefit...so simple! It is this type of out-of-the-box thinking that is such an easy way to generate money for our foundation. It doesn’t take much to raise money and as I type this, I am reminded of a comment someone once made to me. “It can be as small as a tiny pebble in a pond but think about all of the ripples that come from that tiny pebble!” Thank you so much Brian and FIS! Results – This simple concept raised almost $800 and my hope is that people will see this post and a light bulb will go off and other folks will follow Brian’s creative lead. There is no need to reinvent the wheel. Maybe you can go to your boss and ask to sponsor a casual dress week (blue jeans) to support our cause. WE NEED YOU! One word comes to mind when I think about what the young kids continue to do for our foundation...AMAZING!! Reilly Forbes, a 7 year old little girl, told her mommy she wanted to have a lemonade stand to help raise money for our son Gabe! She wanted to raise as much money and awareness not only for our foundation but for Gabe’s disease. This sweet little girl lives on a cul-de-sac in our neighborhood and is sort of off the beaten path so the traffic flow down her street is not that busy. However, this thoughtful child waited and waited for the few cars that came down their way! Her mommy came out and asked if she was ready to go in and Reilly said not yet as she wanted to raise more money! Her own brother, Connor, came out and asked if he could have some lemonade and this awesome sales child said sure but you need to go get some money!!!! She wouldn’t even let her own brother get some lemonade without contributing to H4G! On a side note, not only does Reilly try to spread awareness for our foundation and Gabe’s disease on a regular basis but she had an opportunity to share Gabe’s story with her class at Briarwood!! The entire class prayed for Gabe that day and I truly believe that Reilly and Gabe are making a difference in this world...even if they are only small children! If a 7 year old little girl touched by a little red head boy can make a difference, think about what you could do! Results – Reilly Forbes endured the heat and her brother who tried to get some free lemonade to raise money for a 5 year old little boy. You cannot put a value on this unselfish gesture by a 7 year old little girl! We can all learn something from her...I know I did! You rock Reilly! Created by: Hope for Gabe, Inc.
We are so excited about bringing the H4G Upscale Consignment Sale to Cindy's house in Mountain Brook! No long lines to stand in, smaller home setting, no sorting through thousands of clothes just to get to the good stuff, and great bargains on awesome clothes!! The only way for this to be a success for everyone though, is to pass this along to your friends who like good deals on great clothes!!! I know in this economy, everyone could you use a little extra money to help pay for all the clothes that our children want (or that we want for our children)!! Shop and make money at the same time….everyone benefits, including our son’s foundation which was started to beat his devastating disease, Duchenne! You can read more about his story at www.hopeforgabe.org. We need CONSIGNORS and SHOPPERS so bring your best boutique and trunk show clothes and your purses b/c you are going to get awesome deals on premiere clothes! Consignors can shop early! We have all the cutest lines of clothes for babies, boys, girls, and tweens....Hannah Kate, Strasburg, Kissy Kissy, Mini Boden, Kelly's Kids, Oilily, Castles & Crowns, Bailey Boys, Abercrombie, Polo, etc. We need more tween sizes as well....whatever is in style for that age group. Drop off for the sale is going on now though next Thursday, 9/16. Please contact Cindy at cindly.ogletree@yahoo.com or call her at 870-3832 to arrange a time that works. Items for dropoff must be hung (no special hangers needed, just hang with the open end to the left if possible) and tagged (anyway) with the item description, price, size, and your name. Make sure the tags are secure on there so we know who to give the money to. Consignors will receive 75% of the sale price. Cash or checks accepted only (made out to Hope for Gabe of course)! If you would like your clothes inventoried, please do so before you drop them off. Pickup for your unsold clothes and your check will be a couple of days later. 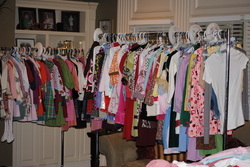 Cindy or I will email and let you know your unsold clothes and your checks/cash are ready to be picked up. Make sure we have your contact information when you drop off. PLEASE FORWARD AND INVITE AS MANY PEOPLE AS YOU LIKE....WE WANT THIS SALE TO BENEFIT EVERYONE INVOLVED!!!! 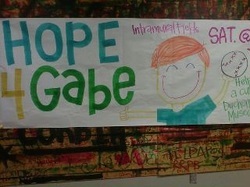 Thank you from Hope for Gabe...no one can do everything, but everyone can do something! Results - This consignment show went so incredibly well that not only did Hope for Gabe make $1,700, the people that consigned with Traci made a good bit of money as well! Thanks to those who donated all of their clothes to the Hope for Gabe cause! You guys rock! A special thanks goes out to all those who helped Traci and to Cindy Ogletree who hosted a show in Mountain Brook! Thanks for your time and effort! Type: Causes - Fundraiser/Raffle - New York Yankees vs. Boston Red Sox at the New Yankee Stadium in the Bronx! Description -INCREDIBLE RAFFLE FOR HOPE! Act fast because eligible donations will be accepted from 8/29 until the drawing on 9/10. You can make as many $50 donations as you like and will receive an entry for each one. GOOD LUCK and details/caveats are below! Want to get away with your spouse for a weekend trip to NY, or maybe take your son to a major league baseball stadium to see one of the greatest rivalries in baseball….The New York Yankees vs. the Boston Red Sox? Now is your chance!!!! Shelley and Steve Senick (Birmingham, Alabama) along with Rick and Lelia Ginder (Gainesville, Florida) have graciously partnered to raffle off two baseball and airline tickets through the Hope for Gabe Foundation to help raise money and awareness for Duchenne. Our 5 year old son Gabe Griffin has been diagnosed with this incurable terminal disease and we are fighting for his life and the lives of all boys affected with DMD. We feel so blessed to be given this opportunity! Please visit www.hopeforgabe.org for a chance to win the two tickets behind home plate to the New York Yankees vs. Boston Red Sox game on Friday, September 24th at 7:05pm in the brand new YANKEES STADIUM in New York, along with two roundtrip Southwest airline tickets!!! Go to the donate button (above) on the fundraising tab at http://www.hopeforgabe.org/fundraising.html, click on the donation button and donate at least $50 for your entry into the raffle. For every $50 donation to our foundation, your name is entered into the drawing once for the baseball package. Example…Two $50 donations = 2 entries for the drawing or a $100 donation = 2 entries for the drawing, etc. You can also read more information on the fundraising tab at http://www.hopeforgabe.org/fundraising.html. Each donation may be tax deductible as Hope for Gabe is an IRS approved non-profit 501(c)(3) organization. Our tax deductible determination letter can be found at the bottom of the home page. Please ask your tax advisor about tax deductions. The 2 awesome tickets are behind home plate in section 121B, Row 25, Seats 13 and 14 (go to http://newyork.yankees.mlb.com/nyy/ballpark/seating_pricing.jsp to view seats). The drawing will take place on September 10 (by Gabe of course), and airline reservations will need to be made ASAP to insure seating**. Please contact Scott Griffin to request your travel dates and times at (205) 980-0114. Baseball tickets will be in the form of an E-ticket and will be forwarded to the winner. We also request that you please do not resell the baseball tickets on Ebay, etc. as we would like one of you, our donors, to enjoy this unique experience!! If you think you will not be able to attend the game, please let us know and we can pick an alternate winner. **Airline tickets are subject to availability based on scheduling and winners must depart from a Southwest Airline served city. Southwest Airlines does fly directly into La Guardia Airport in NY. In the event seating for the desired travel itinerary of the winner is not available, the winner will need to choose a different itinerary or make alternative travel plans on their own. We will make every attempt to reserve seats through Southwest Airlines for the travel dates of your choice, but based on their restrictions, seats may not be available.Thank you for all your help and with you on our team, Gabe has HOPE to live a long life. Without you, we will lose our fight! No one person can do everything, but every one can do something! Have you made a difference today? Description: Please join us as we launch our nonprofit foundation honoring Gabe Robert Griffin and the thousands of other boys affected by Duchenne Muscular Dystrophy. RSVP to Mike Wilburn at mike.wilburn@att.com or 205-321-4940. Wine and beer with light fare will be served. Results - One word...WOW! We were so thrilled with how the event went and a special thanks goes out to EBSCO and Taziki's greek fare for all the help and donations. EBSCO offered us their facility and Taziki's donated the food. It would not have been a success without them! It also would not have been a success without those who attended and volunteered to committees or offered their area of expertise. This totaled over 100 different areas in which people volunteered....INCREDIBLE! Board members will be reaching out to those folks the week of August 30th to start organizing and keeping the momentum. On a side note, THIS WAS NOT A FUNDRAISER BY ANY MEANS but a way for us to thank friends and family for their support and to thank you for stressing an interest in helping our foundation be part of something we believe will be very special. That being said, as I was socializing after my talk, folks kept coming by me and putting things in my pockets. I just thought people were messing with me or putting trash in my pockets as a joke. To Traci's and my surprise, they were putting checks in my pocket...to the total of $2,500!!!!!!!!!!!!!!! We have some very special friends and supporters in our life and though I continue to say I am not sure of the "WHY Gabe" yet, I do realize that the special people who have come into our lives as a result of this terrible disease are an absolute blessing! Please know that there is no way Traci, I, and our family could get by day to day without your support and friendship! Remember, no one person can do everything but everyone can do something!! Our friends Shelby and Sela Lovette decided they wanted to do a lemonade stand for charity...they picked Gabe's Foundation, Hope for Gabe!!! We know that their mom and dad are so proud of them. What an incredible example of giving back to those in need! Stop by and have some delicious lemonade for a great cause! Help save a life!!! Results - These incredible children were able to raise $85 to help Gabe's cause in the scorching heat from 8:00 am to Noon! That is a bunch of $1 glasses of lemonade!!! Think about it! These two young girls felt so moved by Gabe's journey that they wanted to help out and it goes to show that any effort is rewarded! Sandals, Slushies, and Silpada Open House! Put on your sassiest summer sandals and join me for the first annual Sandals, Slushies and SilpadaOpen House! We will be having a fun, girly time as we eat, drink and play dress up with this fabulous handcrafted jewelry in the finest .925 Sterling Silver. Complementing the beautiful Sterling Silver are colorful semi-precious gemstones and natural materials including Freshwater Pearls, Coral, tooled Leather, and much more. THE BEST PART OF THIS ANNUAL EVENT is that 100% of the proceeds from the Silpada sales will go towards research to find a cure for Duchenne Muscular Dystrophy and help Gabe Griffin and 20,000 other boys affected with this disease for which there is no treatment or cure! You can help Gabe and the Griffin family end Duchenne with your Silpada orders! There is something for everyone, so drop by and bring your mom, sister or anyone who loves fabulous jewelry! To sneak a peak at the newest collection, go to www.mysilpada.com/julie.seals. Even if you are unable to attend, all orders placed will go towards Traci’s show! Sassiest sandals win a toe ring! Results - At this incredible event not only did we have a blast hanging out with each other, we raised over $700 for the Hope for Gabe Foundation. It only takes creative effort to raise money for this terminal disease and Julie Seals of Silpada turned it into a fun filled night in honor of our little red head! If you have any creative ideas, please contact us!! We would love to hear from you! Gabe Griffin is a 4 year old boy who has been diagnosed with a terminal disease called Duchenne Muscular Dystrophy. During the Baseball playoffs, the Spain Park Jaguars took the initiative to honor Gabe by wearing red tape on their wrists with "H4G" written in black. 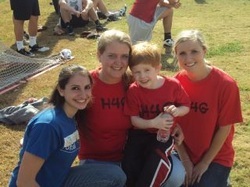 H4G, is "Hope for Gabe," and again, their team came up with that. Very cool! We are all very proud of the young men for affecting a young boy, a family, and a community in such a positive way. At Spain Park Baseball, that's what they do. Now, it’s the entire student body’s chance along with you to make a difference in the life of Gabe while increasing awareness of Duchenne and hopefully contributing toward the cure. 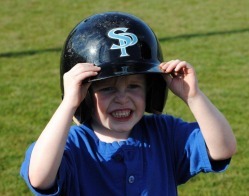 On Thursday, May 13 at 4:30 PM at the Spain Park baseball field, they will be hosting a charity softball game with Spain Park athletes and faculty to raise money for Gabe Griffin and Duchenne MD. As fate would have it, that is actually Gabe's 5th birthday. So what can you do? Most importantly, we need you there. They are suggesting a $5 donation. We also need word of mouth advertising. Let everyone know. You can read more about Gabe's journey at his website: http://www.caringbridge.org/visit/gabegriffin, and on Facebook at "Hope for Gabe, Inc." See more at our photos/video tab.